Well ordered my wheels tonight 15x10 and one tyre from paddocks should get the other 3 tyres ordred by the end of the week. I really hate it when that happens its like akid before xmas syndrome. 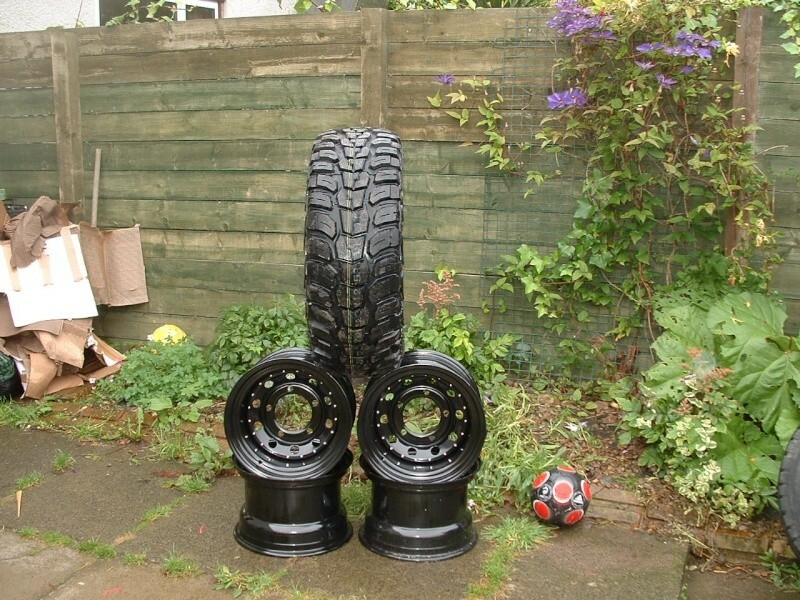 Well ordered the other 3 tyres on friday past and steel wheel nuts for myself and Andrew. Just need to find a good set of rubber wheel arches now to cover the big wheels and tyres. C'mon steve, you've teased us for long enough, switch the flash on and take pics!! !